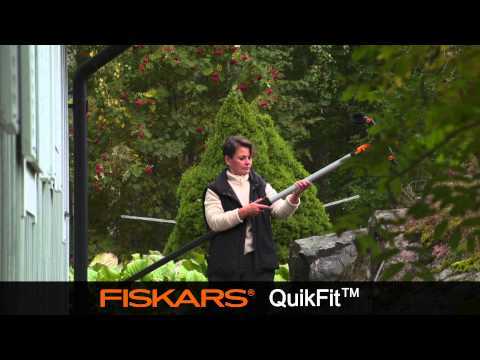 The Fiskars QuikFit garden multi tool system has a range of shafts for the job. The Fiskars Medium Telescopic Shaft has been especially designed for hard to reach tasks in the garden with a reach of up to 4m. This shaft shares the same unique automatic lock to make the tool ready to use in seconds once you have connected the desired tool head and the dual locking system guarantees maximum safety. Its lightweight aluminium construction makes it comfortable to use over an extended period and its size means that it fits conveniently into most cars.